III. 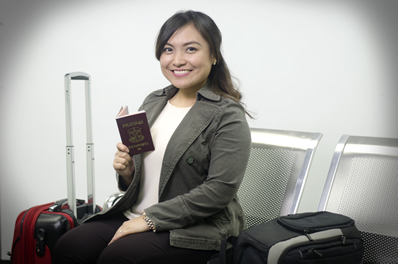 Filipinos with Dual Citizenship – Filipinos who are also citizens of other countries. Overseas Filipinos may avail themselves of PhilHealth benefits for hospital confinements and out-patient surgeries in the Philippines. Confinements of Overseas Filipinos and their dependents in any accredited health care institution in the Philippines are being paid for by PhilHealth through the All Case Rate payment scheme. Overseas Filipinos confined abroad are entitled to PhilHealth benefits through claim reimbursements.Members are given 180 days upon discharge to submit their claim documents to any of the PhilHealth offices in the Philippines. This means reduced stress for OFs from worrying about family members’ health care needs while abroad. Should any of the OF’s qualified dependents gets hospitalized in the Philippines, the same set of benefits shall be available for the dependents to avail themselves of. PhilHealth supports inpatient care through the All Case Rate payment scheme for most illnesses and surgical procedures. Availment for both the OF and qualified dependents is easy and readily accessible. Should hospitalization become necessary for both the OF and dependents, they need not worry about numerous documents to submit because most accredited healthcare institutions are now connected to the Health Care Institution Portal where eligibility to avail of benefits can readily be checked. Most illnesses and other causes of hospitalization are being paid for by PhilHealth. For instance, for dialysis patients, PhilHealth has extended support up to 90 days for hemodialysis sessions per year, and 360 days for peritoneal dialysis sessions per year. Overseas Filipino members may avail themselves of PhilHealth benefits even if they are confined in hospitals abroad. At the same time, their qualified dependents in the Philippines may avail themselves of the benefits even if the principal is working overseas. If an Overseas Filipino member or his qualified dependent is confined in the Philippines, a properly filled out PhilHealth Claim Form 1 must be submitted to the Billing Section of the accredited hospital before being discharged. To verify if your PhilHealth Member Data Record contains updated information about your membership profile and your list of qualified dependents, click on the Member Inquiry icon under the Online Services section, follow the log-in procedures and check on the accuracy of your member data. The annual premium contribution of land-based Overseas Filipinos is based on the amount prescribed by the Corporation. The minimum current rate is P2,400.00 per year. This can be paid in advance for two years to five years, or depending on the duration of the employment contract with the overseas employer. PhilHealth coverage need not end when your contract with manning agency ends. If vacationing in the Philippines while waiting for contract renewal, sea-based OF members should pay their premium contributions to ensure benefits availment should the need arises.